AndrewGardner avait besoin d'un nouveau design de logo et a lancé un concours sur 99designs. Un gagnant a été sélectionné de 74 designs proposés par 21 designers freelance. We require an iconic logo for Australian major label recording artist, Digga, based on the ‘digging man’ that you see on cautionary signs near construction sites (‘digging man/workmen ahead’). Here are the links for provide two JPG files that contain decent, workable image of the ‘digging man’ that you will need, the rest is up to you! Something between a corporate and a street logo is what we are looking for though something cool, quirky and Japanese inspired, that wouldn’t look out of place on a nightclub flyer would also be great. show flyers, merchandise, promotional material – well, you get the idea). spawned 3 Aust. Top 20 singles, 1 Aust. Top Ten single and a certified Gold Selling Aust. single (this all went down around 2004/5). the back of any exposure he receives. The logo is integral to this. rectangle (I’m not sure how thick the border should be). 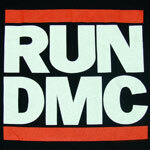 Association - http://www.lubbockonline.com/images…_logo.jpg) logo mixed with RUN DMC’s logo (http://www.myteespot.com/images/thu…CF1831.jpg). metallic/chrome effect being in there somewhere. enough for a 14 year old to be wearing on a T Shirt to a 50 Cent concert. something different that is more of your own style.